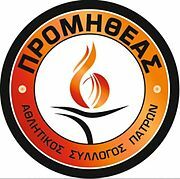 Promitheas signed Tony Meier. The 28-year-old American forward graduated from the University of Wisconsin where he played for Milwaukee Panthers. Meier started his professional career in Australia for Frankston Blues and has also played in Poland for Polpharma Starogard Gdanski, and Portugal for Vitória de Guimarães. In 2015 Meier joined Apollon Patras, where he was the top scorer of the team averaging 11.31 points per game. After a break in the Czech Republic for CEZ Nymburk Meier returned to Greece for Lavrio being the second top scorer of the team averaging 11.54 points per game.